After over a year of shopping, comparing, and dreaming, I finally purchased a high quality action camera. After being burnt by the worst camera ever made, I was very careful with my decision. If you have done much shopping for action cameras you know that there are a lot out there, but only two or three real choices. For me, the choice came down to the GoPro Hero 2 and the Contour Roam. Both are great cameras. 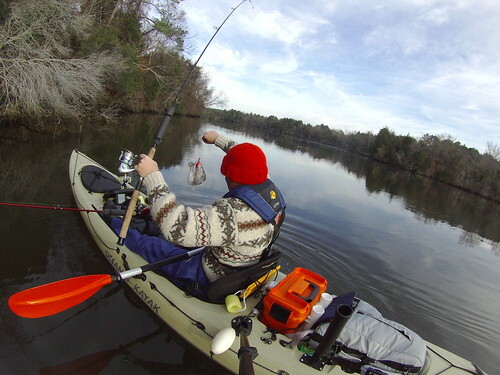 The GoPro is by far the most popular among kayakers in my area. I'm not going to go into specifics, but I chose the Contour because it was about $100 less expensive and has all of the features I want in a camera. I set it up to take a picture every second. 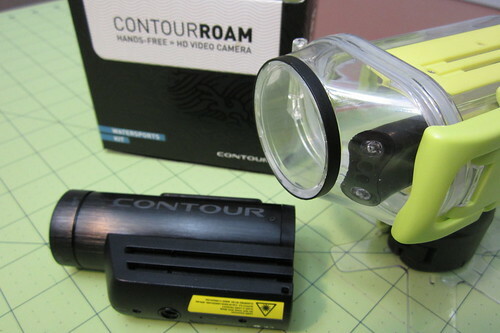 The Contour Roam gets about 4 hours of run time in this mode. I figured this would be more friendly for my blog and still catch all the action I could want. 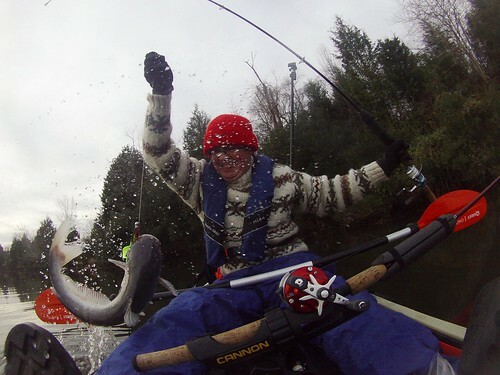 I got more great shots in one short catfishing trip than I did all last year with my regular cameras. I foresee the photography on this blog getting better and the fun level of my outings going up! Don't disregard the Contour Roam. It may be less expensive and less popular, but it is a great camera with an impressive set of capabilities.